Paid the Price of Failure. A season of 2 halves. Until January, it was a total disaster as Queens found themselves in a 3 way battle with Brechin and Stranraer to avoid the one automatic relegation place and one play off place. Ian Scott paid the price in November, when he was replaced by Ian McCall, but results actually got slightly worse until the end of January when Queens went on a run of only 1 defeat in 12 games to overhaul Stranraer's 12 point advantage and keep their place in the 1st Division. Queens went into the season with confidence high after the superb finish to the previous season, and with minnows Stranraer and Brechin coming into the division, we could forget about relegation and concentrate on the top of the league... or so we thought!. By January, under the new stewardship of Ian McCall, Queens were in a battle with Brechin to avoid bottom spot and automatic relegation, while Stranraer looked uncatchable 12 points clear of the 2nd bottom place which would result in a play off with the 2nd to 4th teams in the 3rd Division. 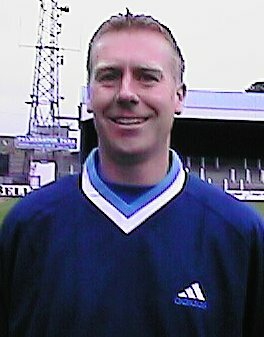 However, once Ian McCall got the team he wanted in place (many of them ex Queens players such as Andy Thomson, Andy Aitken and Sean O'Conner), Queens went on a run which would have won the league if it had started in July, and managed to overhaul Stranraer and ensure safety with a game to spare. The site moved onto it's 'own' server, which allowed me to make it more dynamic by making more use of MySQL databases, so that reports and stories would be more readily available in the future. It also allowed me to put all my archives back to 1997 online, and so this Archives section of the site was born.